When making a mortise-and-tenon joint, it's best to begin by cutting the mortises first (after the workpiece« are cut to size). In general, it's much easier to cut the tenon portion to fit the mortise— the range of thicknesses for cutting mortises is limited by the thickness of the workpiece and the diameters of (he drill bits or router bits in your shop. 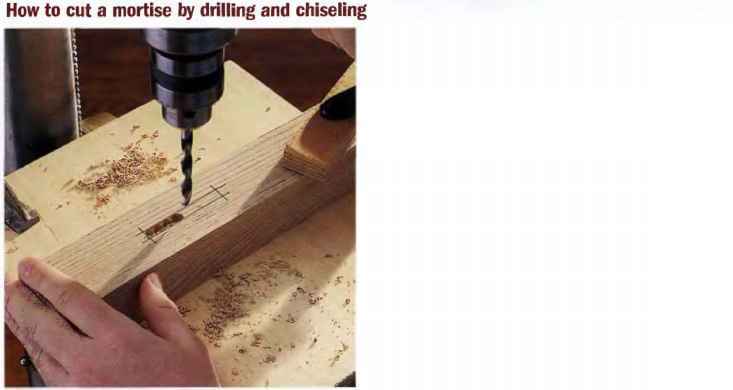 The most, common method for cutting mortises is to use a drill or drill press to remove most of the waste in the mortise, then square the edges with a wood chisel. For shallow mortises, however, you can also use a router find straight bit (a plunge router is the better choice for this cut). If you expect t o do a lot of mortising, look into buying a mortising attachment for your drill press. These attachments feature bit-type cutters housed in a sharpened sleeve that actually performs a chiseling action as you lower the spinning bit into the workpiece. In general, you don't want to cut a mortise that 's more than half the thickness of the workpiece. There should he at, least 343 in. 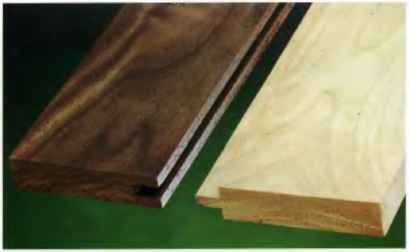 of wood between the edges of the mort ise and the edge of the workpiece (except for mortises that begin at, the top or bottom of a workpiece). The best, way to get consistent mortises is to perform each step in the operation on all work pieces before changing the tool setup. And as with most joinery operations, make s test piece and check accuracy and dimension« hefbre cutting actual work pieces. 2Use sharp wood chiseis to remove the remaining waste wood and ciean the mortise waiis. To avoid splitting the wood, start with a narrow chisei, equai to the width of the mortise, and square one end of the mortise. Keep the flat face of the chisei against the mortise waii as you work. Then use a wider chisei to ciean out the iength of the mortise. Let the chisei enter the mortise at an angie to help you controi the cut, paring away the waste as you work. 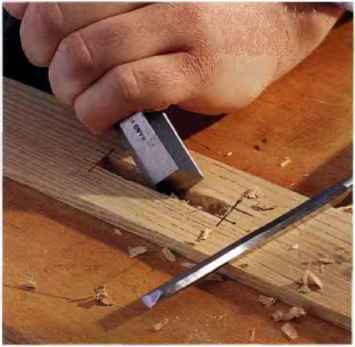 Finish the cut by chiseiing straight up and down to ciean the walis ali the way to the mortise fioor, or bottom. For square tenons, square off the ends of the mortises with a chisel. 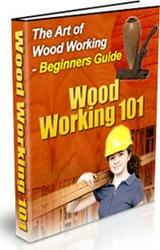 Some woodworkers prefer to round-over the ends of the tenons to fit the mortises. Iin your driii press, instaii a brad-point bit or Forstner bit with a diameter equai to the pianned thickness of the mortise. Set the depth stop on the driii press to equal the depth of the mortise. Aiign the bit with the iayout lines at one end of the mortise. To keep the bit aiigned throughout, ciamp a fence to the driii press tabie behind the workpiece. Bore one hoie at a time. Once a hoie is bored, move the woikpiece so the next hole wiii be next to, or siightiy overlapping, the first hoie. Continue driiiing until you reach the other end of the outline. Ciamp the workpiece to the driii press tabie before driiiing each hoie.